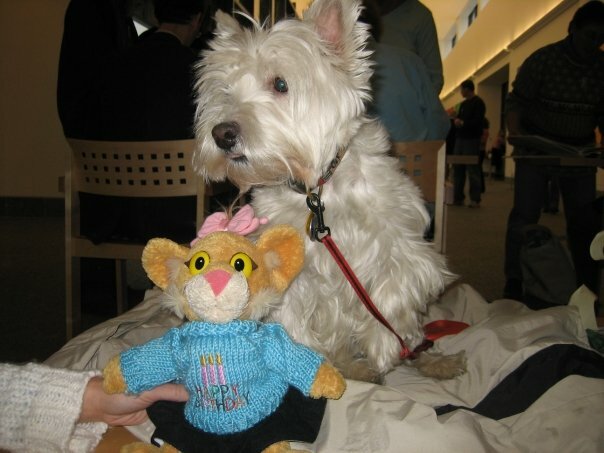 While attending a workshop at NJLA’s annual conference this year, I noticed a small stuffed lion seated between me and the woman to my right. The workshop presenter had us do a few little exercises with our seat mates. We introduced our selves and shared the usual bits of information: where do you work? Where do you live? I learned her name is Jenna Galley and she works at the Peapack-Gladstone Library. As the workshop wrapped up and people began making the typical noises of opening bags and rustling papers, I glanced one more time at the little golden colored stuffed lion seated next to me. Jenna was preparing to leave, when I finally just had to ask. She proceeded to tell me a little bit about Leona and how she travels with Jenna to events and conferences and has her picture taken with authors. I could have left it there, I suppose; but, I just had to know more. I basically ended up slightly interrogating her about Leona and people’s reactions to Leona. Jenna enjoys sharing the story of Leona with the people they meet; so, I don’t think I hassled her too much. The best news is that she agreed to a bit more interviewing for this article. It all started at PLA 2004 in Seattle. Jenna attended a Between the Lions luncheon. 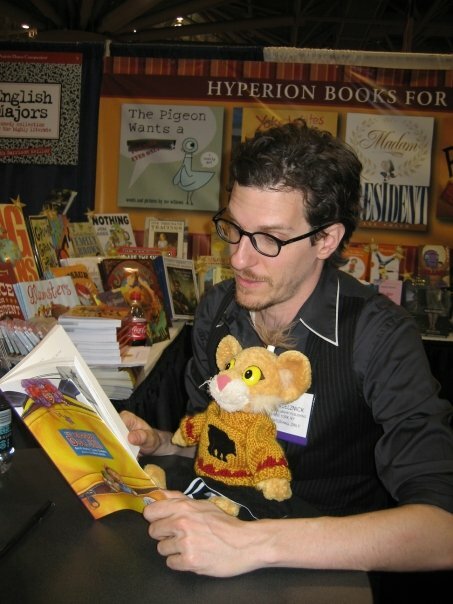 Between the Lions is a PBS kid’s show that uses puppets and storytelling to promote reading. In doing a bit of research for this article, I discovered that it was created and designed out of existing research on how children learn to read and they expanded that research with their own studies. 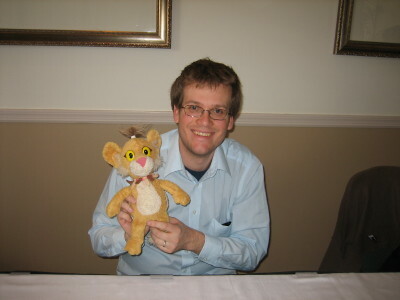 Jenna was impressed with the Between the Lions people and became fascinated with the puppets, puppeteers and one puppet in particular: Leona, one of the stars of the show. 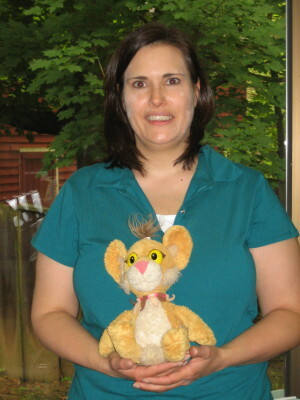 PLA was in the Spring of that year and the following Fall, one of Jenna’s colleagues gave her a gift: a small stuffed version of the character Jenna had fallen in love with back at PLA. It all kind of started out innocently. Leona started accompanying Jenna to events and meetings, having her picture taken doing silly stuff and it was a fun thing for her coworkers to joke about. Encouraged by a colleague, Jenna took Leona to PLA 2006. The idea of having Leona pose for pictures with some of the authors took hold and the adventure began. Soon the pile of pictures of Leona and authors started piling up and people started to expect to see Leona at the conferences. When Jenna’s mother found herself in the hospital, Leona took time from her schedule to keep Jenna’s mom company and even with this break, the number of photos of Leona and her author friends is pretty substantial. Leona has not only become a part of Jenna’s work family; but, she goes home with Jenna and has been welcomed as a member of that family too! I loved meeting Jenna and her pal Leona and I love the doors that Leona has opened for Jenna. Leona is an instant ice breaker and has helped make introductions to folks Jenna may not have ever met: authors, other librarians and probably random strangers too. When I asked Jenna if she had experienced any negative feedback, maybe folks would just think a grown woman carting around a stuffed animal is weird, she said that she had always been a little quirky so it didn’t really matter. 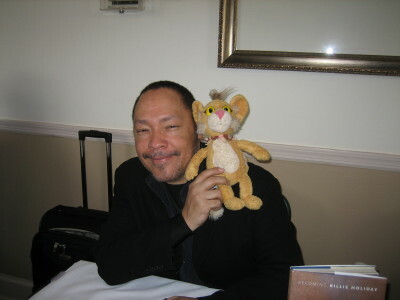 Even the one cranky author has become a story to tell because really, how can you not smile when posing with Leona! I’m a believer that the meaningful, even if brief connection we can make with others is where joy lies. There is such magic to be found in connecting with others and connecting with nature and in that magic there is a chance to experience joy. I love that moment when a smile forms on my face because I just connected with another person. Leona is a smile maker. I’m sure Jenna would say that Leona has enriched her life in surprising ways. Summer Reading List: Oh, please, does the season really matter? It’s that time again. The season of summer reading lists. I kind of think Summer Reading Lists are a bit silly because most of us probably read all year round and most of don’t drastically change our reading habits just because it’s Summer. I suppose there are folks who only read while on vacation, though I’ve never met one of these people. On the other hand, I love reading these lists, especially ones that go beyond the seasonal blockbuster titles. I frequently am introduced to a book I want to read or am reminded about an author I haven’t kept up with. For those reasons, I’ve come up with my own Summer Reading Lists with a twist. I am moving next month or maybe in August depending how things go with my purchase of a small condo near the beach. Yup, I’m lucky, lucky, lucky enough to be moving to Asbury Park and although I do enjoy the Summer at the beach, I’m more of a Fall, Winter, Spring at the beach person. I’m already day dreaming about Fall on the beach with my dog, a good book and a heavy sweatshirt. So, I’m going to share two lists with you. Books I hope to read and in my next post I’ll share a handful of books I have loved. The Food of a Younger Land by Mark Kurlansky. While working at Powells Books last year I discovered what many people probably already knew: Ralph Ellison not only had a career as a jazz writer, he also wrote for the WPA. I read Living with Music: Ralph Ellison’s Jazz Writings and was blown away. I’m hoping Kurlansky’s book brings the same kind of joy. The Federal Writer’s Project sent writers out into America to chronicle eating habits and food stories. Some of these FWP writer’s were names easily recognized today, including, Eurdora Welty, Nelsen Algren and Zora Neale Hurston. Kurlansky has collected what he deems the most interesting of the essays. I’m really looking forward to this one. Wesley the Owl Stacy O’ Brien. This book tells the story of a scientist’s 19 year relationship with a barn owl she adopted. I tend to randomly choose one of these animal-human relationship books every so often and this one looks to be one I will enjoy. Selected Writings of T.S. Spivett Reif Larsen. I admit I’m mostly attracted to the notion of this book as an object. It is probably the artist in me that finds illustrated novels appealing and the added benefit of the main character’s need to map everything. I can’t wait to see his map of loneliness. Alice Fantastic by Maggie Estep. Two sisters, a mother, seventeen dogs and assorted lovers? Sign me up. I have loved Maggie Estep since I stumbled across Diary of an Emotional Idiot, when I reviewed it for LJ. I raved about it! Gone Away World Nick Harkaway. This is a debut novel that has been described as funny science fiction set in a future world with ninjas, pirates, monsters. I’m either going to love it or get 1/4 of the way through and ditch it. Ballad of West 10th St. Marjorie Kernan. I’m not really sure how this got on my list other than I was shopping on powells.com for a mother’s day gift and stumbled upon it. When a dead rocker’s wife and kids get a new neighbor things begin to change. Review after review comment on the lower Manhattan setting. The Girls On the Roof Mary Swander. This is not a novel; but, technically a collection of poems about a mother and daughter trapped on a cafe roof after the Mississippi River floods their town. Mary Swander has been my mentor and friend since I was her student at Iowa State University. Her work is both beautiful and hilarious. The fact that her poetry has been turned into plays gives you a little insight when I tell you that her poems are stories. Going Away Shoes Jill McCorkle. Finally! A new collection of short stories by one of the most under appreciated masters of short fiction. I first started reading McCorkle in college and this collection is eaglerly anticipated and not just by me. Shop Class as Soulcraft Matthew Cranford. I purchased this book for my Dad for Father’s Day and am anticipating that it might get passed back my way. I have often suspected that I should have gone into the trades first and then onto college. My grandfather is a tool and die maker, who still works at the age of 86. My other grandfather was a carpenter and my father has always managed to do something with his hands whether it was restoring old cars, painting murals, stripes and flames on cars or just building things around our house. It was expected I was going to college and I did; but, I have been tempted on more than one occasion to go learn a trade. I’m my grandfather’s grandkid and my father’s daughter. I was on the verge of beginning study in blacksmithing when I injured my hand and that has permanently derailed any plans of doing work that requires strength and/or dexterity in my dominant hand; but, I do still dream. Cranford’s book looks to be a philosophical but easily readable study of skilled work and workers. I look forward to getting my hands on it. The Great Perhaps Joe Meno. I love Joe Meno. He is definitely one of the finest young writers out there and frequently overlooked. He has a new book out. I will read it. I don’t really even care what it’s about. He wrote it. I will read it. I also will tried to read a book or two on Buddhism. I find that it’s good to remind myself of things every so often. I’ve always wanted to read Rebecca by Daphne Du Maurier…maybe this Fall I’ll do just that. I txt; therefore, I am. There is a fascinating article on the NYT site this morning about the etiquette of using your smart phone in meetings. The article points out cases on each side of the argument where the use of a Blackberry helped and where it hindered the task at hand. If I had 15 minutes with Malcolm Gladwell, I’d quiz him on just when the tipping point happened. When did it become okay to txt, surf, fiddle with a gadget during a meeting, presentation, lecture, whatever? One person in the article claims that the txt banter between people at a meeting loosens it up and add to the creative productivity. Maybe this is true; but, it seems like there is a time and place for this sort of loosening and when someone else is speaking is probably not the time. I also suspect that some of this banter is mean spirited and then I wonder what type of productivity, team building, working energy that could possibly be promoting. All of this txting while your attention should be elsewhere is based on the misconception that we can multitask. Multitasking is actually impossible. Juggling: yes. Multitasking: no. Our brains are only capable of having one thought in each moment…the speed between those moments can be quite fast; but still: 1 thought per moment. So, in the time it takes you to txt the guy sitting across the conference table from you, you have missed something. Folks that txt while driving think their eyes only leave the road for a moment; but, in that moment so much can happen. Giving your undivided attention to someone, to me, is a given. Anything else and you are signaling that there are other things or people more important than that person in that moment. I was surfing the web one day and came across an online discussion about whether it is okay to use your cell phone to talk or txt while conducting a retail transaction. The comments were leaning towards yes and this deeply saddened me. What could possibly be so important you can’t give the person waiting on you a short moment of your time? And if it is that important, then perhaps you should step off line and give your full attention to the conversation. The consensus seemed to be that it wasn’t rude. What? How can ignoring a person who most likely has spoken to you and/or is waiting on you not be rude? I’m at a loss with that one. But we need to be connected 24/7 to keep up. My kids need me in case of an emergency. I can do two things at once. Ugh. Really? I think most people who are txting a million times a day, kids included, spend almost no time having a quiet reflective moment. I also suspect these parent/kid emergencies are more likely about what a kid should have for lunch or other questions the kid should be answering on their own. Now, I’m not a parent, so it’s easy for me to look in from the outside; but, I do like to gently remind parents that, yes, they can reach their kid anytime, anyplace; but, the other side of that is so can other people. I remember riding a bus in Minneapolis and overhearing a conversation between a teen girl and her boyfriend. The whole purpose of the call was for him to keep track of her whereabouts. She gave him a minute by minute run down of where she was and where she was going and what she was doing. Hmmm. Not sure about you; but, I definitely would not want anyone keeping tabs on my child like that. But, I’ve gotten slightly off topic. I’m a bit of an evangelist about this: BE PRESENT in your life. Talk to the barista who pours your coffee; thank the person who pumps your gas; refrain from txting and talking while you’re interacting with another human being. There are times when it’s appropriate to engage in these activities and preceding them with a warning and an apology go a long way in maintaining a respectful interaction. And in case you were wondering or suspect that I’m someone stuck behind the times or am waiting for retirement while I blame the younger generation for all of our society’s ills: I’m 44. I am the new technology librarian at my library. I only own a cell phone (no landline) which is a smart phone (google phone). I txt. I have a laptop and wireless high speed (Fios) internet access at home. There are things I love about technology. I just think we need to remember that there is a time and a place and in person, human to human interaction comes first. Pretty sure that on my death bed, I won’t be wishing I spent more time on the internet. I was walking through the library today and overheard two patrons talking about a mutual acquaintance. The one patron was gloating, experiencing pure glee at being right. She kept saying, “I told her this was going to happen.” She was smiling a shiny smile and radiantly animated in her retelling of this story and I began to wonder about the shear frequency I witness gloating and participate in gloating. I do enjoy being right. I think like many librarians, I’m slightly (Hey, it’s my blog and I get to determine which adverb I’m going to use!) obsessed with knowing. But, now, the question I ask myself is when does my need for knowing and my need to be right flood over the line. When am I in danger of feeling satisfaction at someone else’s expense. I’m going to try and observe these feelings in myself over the next several weeks and I’ll report back. I’ve tried to ferret out a lot of negative thinking from my brain; but, these thoughts of self satisfaction still sneak through. It would be easy to assume or state that I never have these feelings/thoughts; but, that would be misrepresenting that which is true: I am human, with human failings. How does this translate to the workplace? How can we make sure we are supporting our coworkers instead of waiting for them to fall? This is generally only difficult when faced with a difficult person. It’s easy to support your coworkers who are team players and get along with everyone, who refrain from mean gossip and keep their end up. It’s harder to be generous when it is a coworker who is difficult to get along with, who is themselves a gloater, who doesn’t pitch in and help others, who is a complainer or who is just grouchy and unpleasant. This is where the challenge lies. 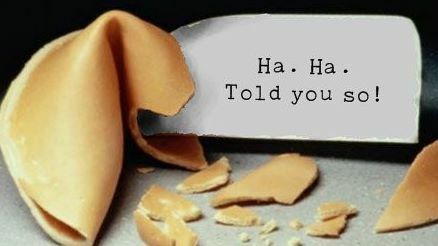 I, of course, have a little story to relate. My ex, Kate, is an extraordinarily gifted listener and observer. She is not a gossip and although she has human failings like the rest of us; she is not mean. Several years back, she started a new job and it took no time at all to figure out that one her coworkers was quite difficult and to say she was not liked is an understatement. She was grouchy, unforgiving, stingy with time and support and a meddler. Kate’s coworkers would talk about this person and Kate refused to participate. As time passed, Kate noticed something. The difficult coworker felt left out. The next time there was an opportunity to invite this coworker to an after work gathering, Kate invited her. She invited her again and again. You know where this is going right? This is not the Hallmark channel. The difficult coworker did not completely change her ways and win a popularity contest at work; but, she did begin to feel included. The gossip about her subsided. Her meanness let up and she even meddled less. She’s still not the easiest person to work with but the extreme tension in that office has dissipated and it has made it a better place to work and I’m sure their “customers” feel it too. And considering that their “office” is the rehab unit at a level one trauma hospital, any positive adjustment in morale would be an enormous benefit to those they serve. What would happen if instead of gaining satisfaction in a difficult coworker’s failure, we instead focused our energies on helping them succeed? I’ve been thinking about forgiveness and the power it can have in the workplace. In my personal life, I like to cultivate and forge relationships with people who are patient and are capable of extending forgiveness. There is a freedom that comes with establishing these types of relationships. Generally, you are free to make mistakes without lasting harm. Of course, it also requires that you see your mistakes and the nature of them and apologize or ask for forgiveness. In the workplace, cultivating a place where there is forgiveness helps create a space where people are encouraged to try things, to think outside the box, to stretch themselves to their very limits, to be risky without it bringing harsh consequences down on them. It also creates a place where people’s individual quirks are not used against them, where new employees are not expected to be perfect, where staff are allowed to make mistakes knowing that they will learn from those mistakes and that they will not be punished for taking risks. Punishment and the holding of grudges is poison. I’ve worked in places where grudges were being held for things that happened 10 and 20 years ago!!! Clearly, this is not productive. This is what can happen when we start looking outside of ourselves instead of just focusing on our own work and our own impact on the workplace. The next time someone does something that pisses you off, let them have a free pass. Forgive them, let it go and move on. See how it feels. Does it really matter that your manager made a mistake with the schedule? Does it matter that an irate customer is passed to you because of something someone else did? No, ultimately, it really doesn’t matter. Schedules get ironed out. We all make mistakes with customers or maybe even it’s an opportunity to educate a coworker about a policy or share with them a different way of handling a problem. In the big picture, being mad at these people, wouldn’t help you serve customers, wouldn’t help you maintain a healthy, enthusiastic morale, would negatively impact your happiness and would generally distract you from your work. Forgiveness is a wonderful gift to share with your coworkers. Try it once, see how it feels.